Contest closes on Friday February 14th, at 6:00 pm Eastern Time. Be sure to enter often and don’t forget to register your entry as noted below. 1. Contest is open to residents of US/Canada only. 2. Contest will be open until Friday, Feb 14, 6pm eastern. 3. You can enter by retweeting our tweets about the contest, following us on twitter, sharing our FB posts about the contest, liking our FB pages. 4. Once you have entered, you must register your entry by commenting on Deanna Raybourn’s blog http://deannaraybourn.com/blog/ Winners will be chosen from those who have registered by commenting on Deanna Raybourn’s blog. This way all entries are located in one place for the draw. See links below to enter. ENTRIES CANNOT BE COUNTED UNLESS YOU HAVE LEFT A COMMENT ON THIS BLOG LETTING US KNOW HOW YOU ENTERED. Do forgive the aggressive caps lock, but I want to make sure you see that part! 5. Comments here are in moderation, so please don’t be alarmed if you don’t see your comment appear immediately. I will be approving them in batches and all comments will eventually appear. THAT’S IT! 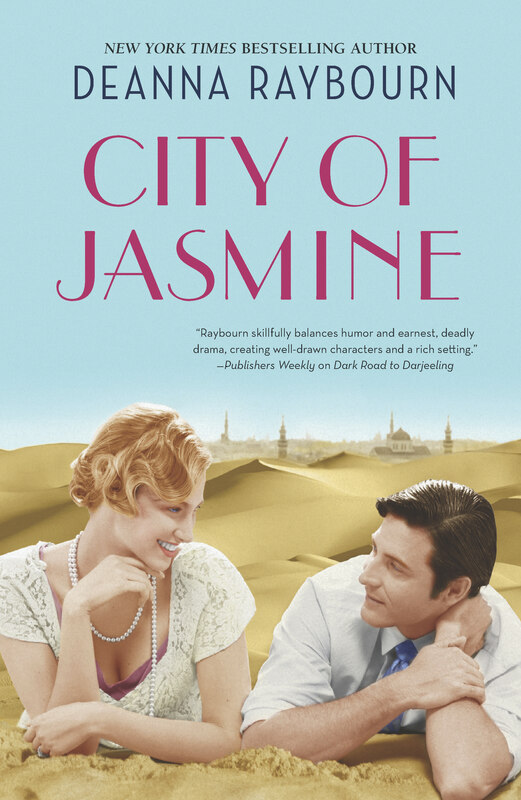 Below are the links to our FB and Twitter accounts, as well as Deanna Raybourn’s site, lots of great information about Deanna Raybourn and her newest book “City of Jasmine” below. A sixth-generation native Texan, New York Times bestselling author Deanna Raybourn graduated from the University of Texas at San Antonio with a double major in English and history and an emphasis on Shakespearean studies. 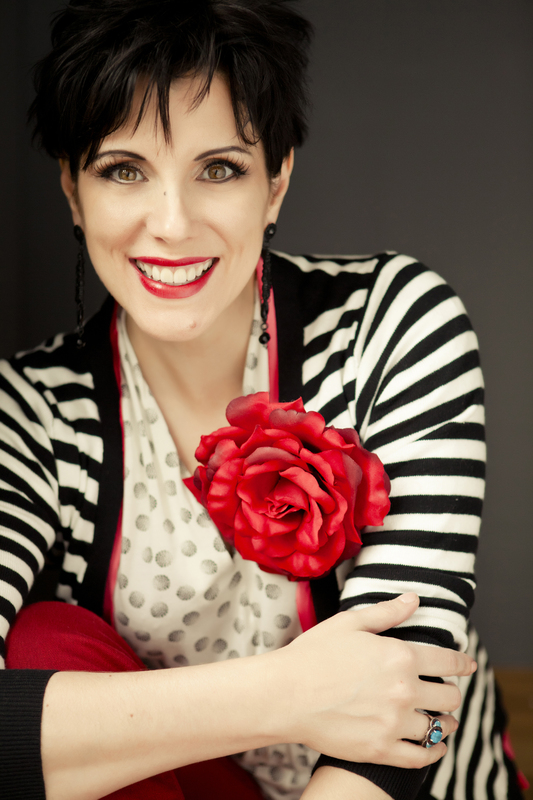 She taught high school English for three years in San Antonio before leaving education to pursue a career as a novelist. Deanna’s novel Silent in the Grave won the RITA® Award for Novel with Strong Romantic Elements and the Romantic Times Reviewers’ Choice Award for Best First Mystery. The Lady Julia Grey series has been nominated for several other awards, including an Agatha, three Daphne du Mauriers, a Last Laugh, four additional RITAs, and two Dilys Winns. Dark Road to Darjeeling was also a finalist for the Romantic Times Reviewers’ Choice Award for Best Historical Mystery as well as a Romantic Reviews’ finalist for Best Book. Her latest novel, A Spear of Summer Grass, chronicles the adventures of a scandalous flapper in 1920s Kenya. Deanna makes her home in Virginia, where she lives with her husband and daughter. Her next release, City of Jasmine—a 1920s adventure novel—will be released March, 2014. Set against the lush, exotic European colonial outposts of the 1920s, New York Times bestselling author Deanna Raybourn delivers the captivating tale of one woman who embarks upon a journey to see the world—and ends up finding intrigue, danger, and a love beyond all reason. Famed aviatrix Evangeline Starke never expected to see her husband, adventurer Gabriel Starke, ever again. They had been a golden couple, enjoying a whirlwind courtship amidst the backdrop of a glittering social set in prewar London until his sudden death with the sinking of the Lusitania. Five years later, beginning to embrace life again, Evie embarks upon a flight around the world, collecting fame and admirers along the way. In the midst of her triumphant tour, she is shocked to receive a mysterious—and recent—photograph of Gabriel that brings her ambitious stunt to a screeching halt. Deanna Raybourn is a seasoned Author and one of my new favourites. I can’t wait to read her newest book “City of Jasmine”. I previously shared on my blog that Deanna also creates with yarn. She loves both knitting and crocheting. I took the opportunity to ask her more about her fibre passion. You can read more on my blog at https://intricateknits.wordpress.com/2014/02/10/great-giveawaywith-a-mystery-author/ I was honoured when Deanna asked me to be a part of this Great Giveaway, thanks Deanna!